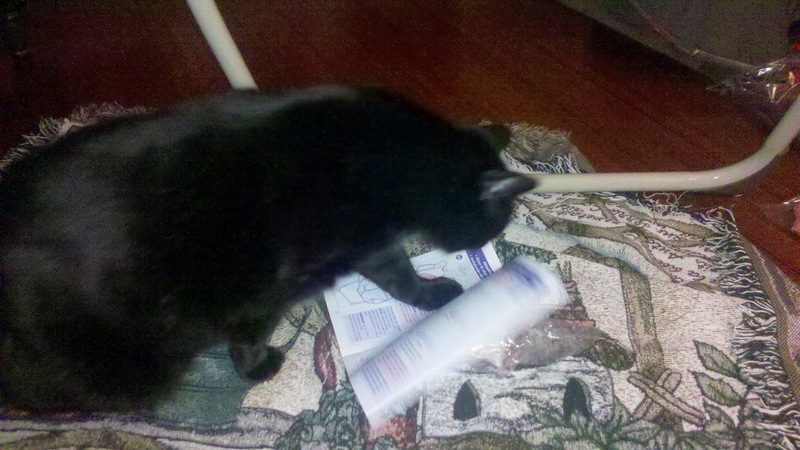 As I noted before, Miko is the inspector of the house and likes to participate in all things handy-man related. 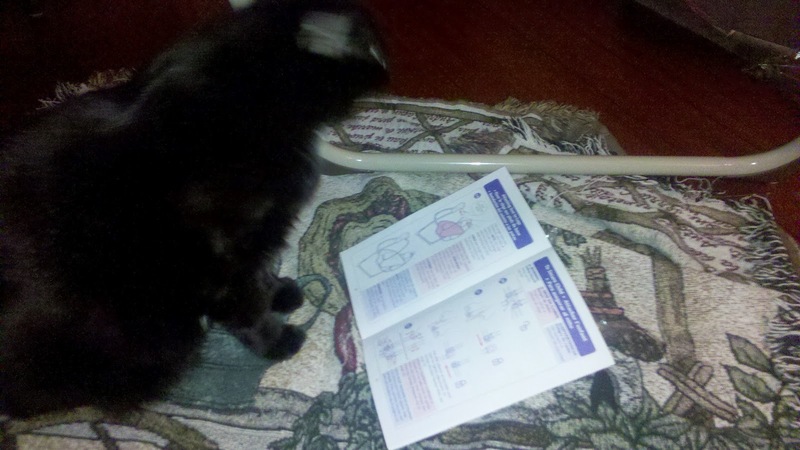 Last night was no exception as I was trying to put together a swing thing for the baby. In retrospect it was a simple matter of assembly however the instruction manual was one of those with pictures but not a lot of clarification. I was lucky that Miko was willing to supervise. Sometimes you just need an extra set of eyes and a little room to spread out in as evidenced by the fact that the kitchen table was not big enough and Ray was of little value as an assembly assistant. How do your critters help around the house?